Lesbian feminist writer, philosopher, linguist, and political activist Julia Penelope has died at age 71. Penelope, a Florida native, died Saturday in Texas, Windy City Times reports. 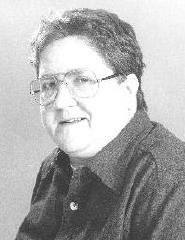 She produced numerous books as either author or editor, including Lesbians Only: A Separatist Anthology; The Original Coming Out Stories; Finding the Lesbians; International Feminist Fiction; Sexual Practice/Textual Theory: Lesbian Cultural Criticism; Lesbian Culture: An Anthology; Out of the Class Closet: Lesbian Speak; Call Me Lesbian: Lesbian Lives, Lesbian Theory; and Crossword Puzzles for Women. She taught at several universities, including the University of Nebraska–Lincoln, but she “was reportedly passed over for promotions because of her focus on lesbian issues,” Windy City Times notes. She was one of the first professors to teach courses in women’s studies. She also encountered difficulties with academic authorities in her student years, having been asked to leave Florida State University in 1959 because she was a lesbian. She went on to receive degrees from the City University of New York and University of Texas at Austin. Julia, you might not have been a super lesbian but thank you for giving us a voice and a pioneering the critical study of the lesbian experience. Call Me Lesbian is the next book on my reading list! What about you?